Alpha Chi Omega is a sorority founded on the motto, Seek the Heights. This has been used since our founding on October 15, 1885 at DePauw University in Greencastle, Indiana. Alpha Chi Omega’s open motto, “Real. Strong. 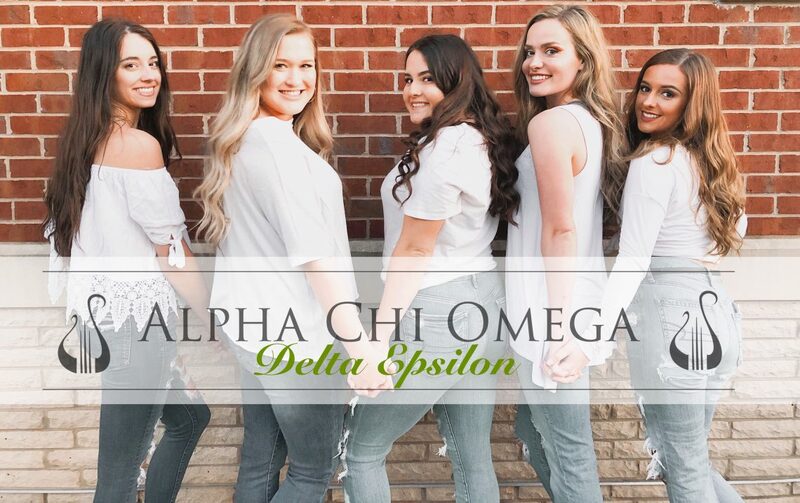 Women.” stands not only for our philanthropy, which strives to empower women in the fight against Domestic Violence, but also helps members develop to their full potential through friendship, leadership, service, and education. Since our founding in 1885, over 193 chapters have been founded across the country, with over 200,000 members initiated. Alpha Chi Omega’s mission is to enrich the lives of members through lifetime opportunities for friendship, leadership, learning and service. Real Strong Women is our commitment to dream big and shape women who want to change the world. Our members are authentic, honest and caring. We help each other build confidence, find courage and develop a sense of purpose. We have fun and embrace new experiences. Our members reach out and help others. We speak up and take action. For 125 years, Alpha Chi Omega has transformed women’s lives.